KKR is once again under the captaincy of left-hand batsman Gautam Gambhir, who has successfully led the team in 2012 and 2014. It has won the title two times already while the opener will be willing that the team should clinch the title third time. It will be its third title in the nine seasons. KKR has a good number and quality players ranging from batsmen to bowlers. The top order is already filled with batsmen such as Gambhir, Robin Uthappa, and Manish Pandey, then three all-rounder Yusuf Pathan, Andre Russell, and Shakib Al Hasan. On the other hand, former player and the wall of Indian cricket Rahul Dravid will play the role of Delhi Daredevil’s coaching staff. Led by Zaheer Khan and mentoring of Dravid may prove the team to a deserving contender of the title for the first time. Moreover, Delhi has a fantastic player who played a key role in West Indies’ World T20 victory in the final. He scored four sixes in the first four balls of the last over. He is expected to play a crucial for Delhi side with both ball and bat. While, Kolkata team has most of its players from the last season. It may prove to an upper hand or an extra edge over Delhi in their first match of the ninth installment on Sunday night. Shreyas Iyer, Quinton de Kock (wk), Sanju Samson, Karun Nair, JP Duminy, Pawan Negi, Carlos Brathwaite, Chris Morris, Amit Mishra, Zaheer Khan (c), Mohammad Shami. 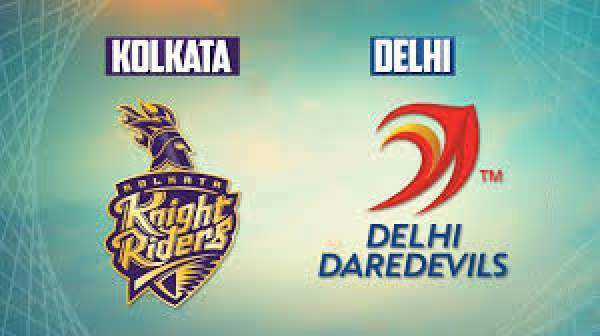 KKR vs DD IPL will start at 8 pm IST/3:30 pm GMT. Star Sports 1 and Star Sports 3 will telecast the IPL T20 match in India with an option to live stream it on starsports.com and hotstar. For the people of the UK, Sky Sports 3 and Sky Sports 3 HD will broadcast it on TV while; it can be streamed live on Watch Sky Sports.